Just nipping in with a starting image for the latest WWYD challenge which I have the honour of hosting. I love the pop of red from them. Great shot. great choice of image - I must have a go with this some day. I hope things are ok with you Suzanne and you find time and inspiration to pick up the camera again soon. 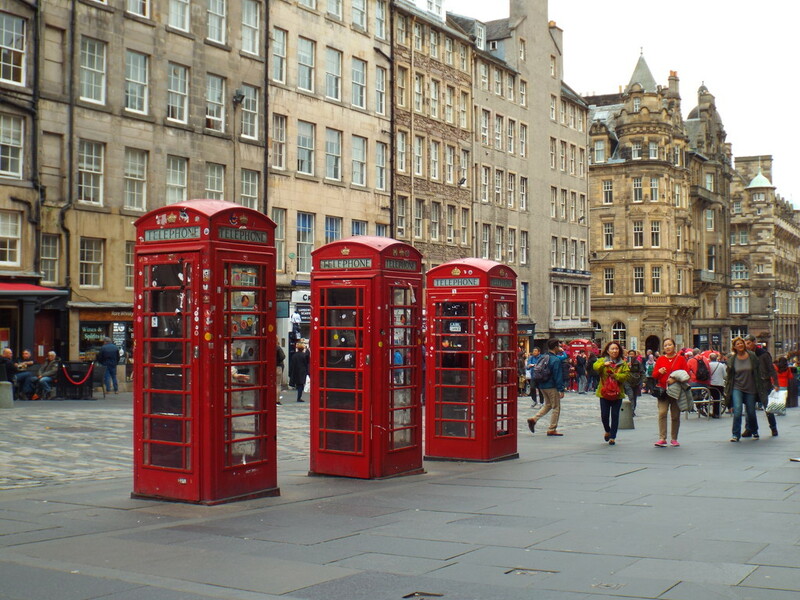 Just love the red telephone boxes. Love the perspective of the three together - I might have a look at the challenge - give me some inspiration. Suzanne, happy 2019! Thanks for popping by, I've been on and off on this site, but can't leave it altogether either. Hope to see you post again sometime! @suzanne234 We miss you too! Hope you find your phojo v soon. All fine here thanks, puppy tried to drive me nuts but not quite managed it, am still hanging onto my sanity (just)! Great shot to use for the challenge. That's a great image to play with!! Beautiful street candid with so much activity going on apart from the beauty of those telephone boxes. We still have a few boxes round here, too. They are more for display than so serve the purpose for which they were made. Great capture of those nice telephone boxes and street candid. Great pop of colour! Great shot! Happy New Year to you, Suzanne! I hope to see your photos again soon! Miss you! Sure miss seeing your photos pop in on my feed every so often, Suzanne! Hope you get your phojo back as well as time to participate again! @farmreporter Oh thank you so much Wendy, that's so kind of you to check up on me. I hope to be back in full swing soon but couldn't resist sneaking one in for my favourite wwyd challenge in the meantime!